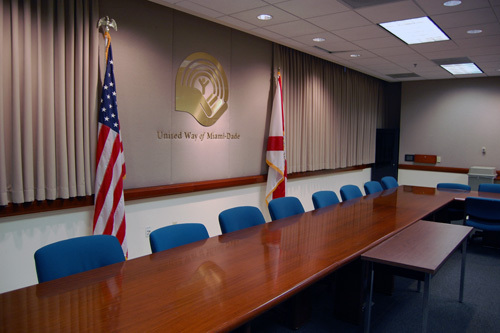 United Way of Miami-Dade offers reasonably priced options to satisfy your basic conference needs. 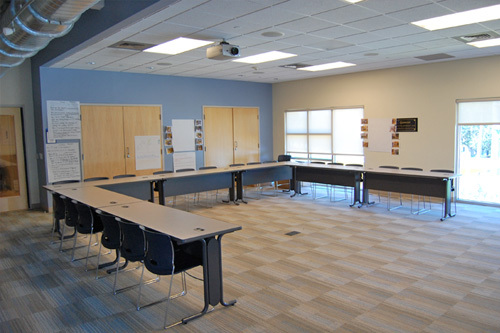 Conference space is available in two of our campus buildings: the Ansin Building and the state-of-the art Center for Excellence in Early Education. 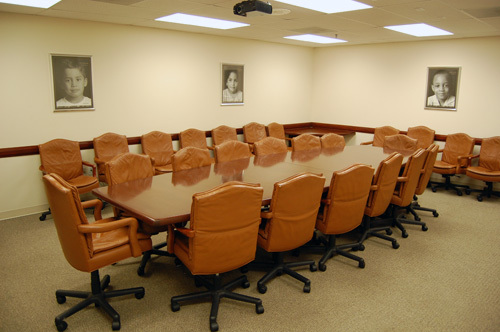 We offer comfortable seating, audio-visual accessibility (in most rooms), wireless connectivity, and conference phones. 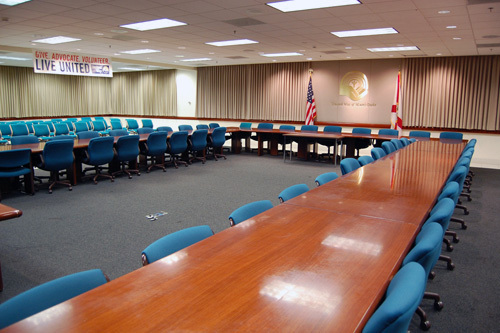 Some rooms can be configured to your specifications, and all rooms can accommodate catering setups and are handicapped accessible.The Ansin Building has five (5) meeting rooms and a computer training center. 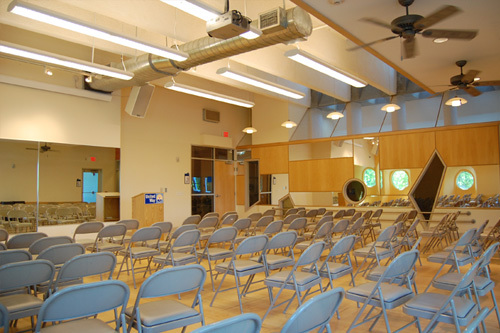 All are located on the first floor. 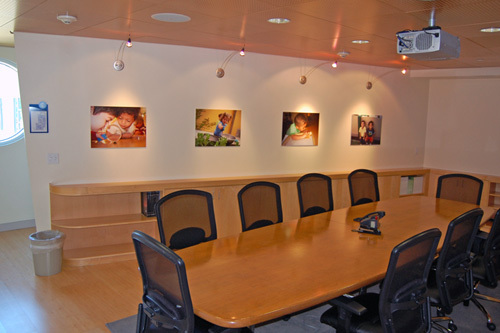 The Center for Excellence in Early Education has three (3) meeting rooms. 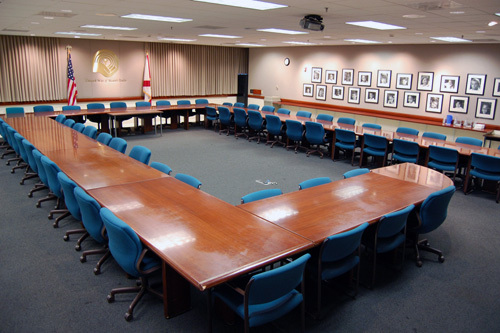 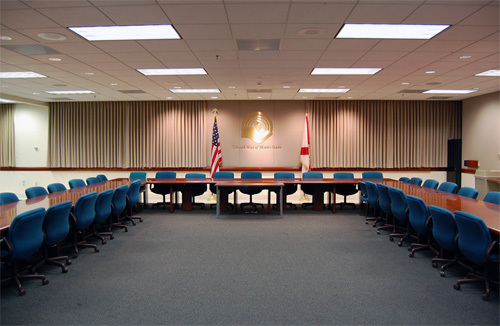 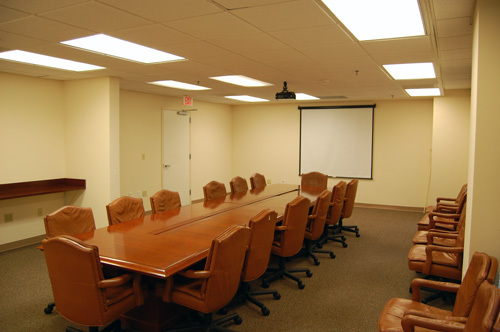 Call (305) 860-3000 for availability and to make an appointment to view the conference rooms and review all equipment needs in advance of your meeting or event. 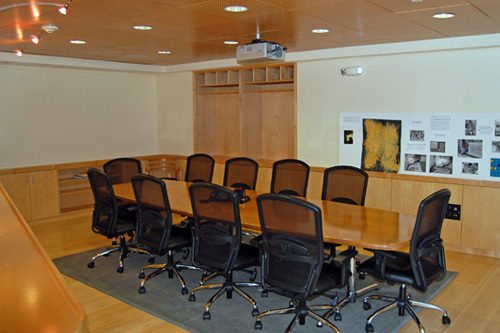 The Ryder Room is the Ansin Building’s largest room with a maximum capacity of 100 people. 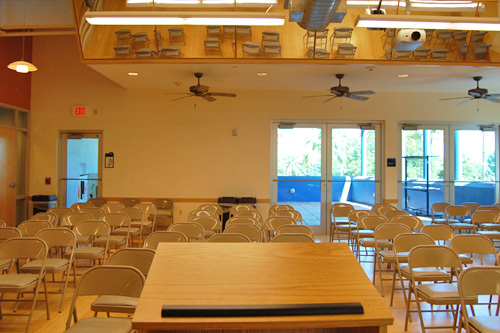 This room is equipped with a digital projector, screen, TV/DVD/VCR equipment and computer. 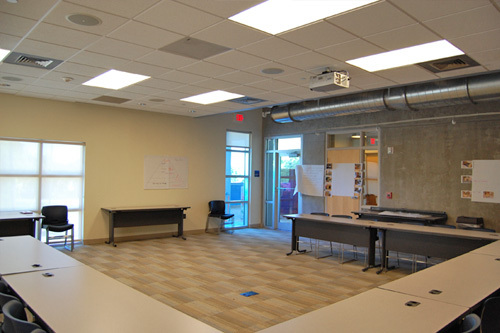 There are multiple connectors around the room to accommodate microphones and laptops. 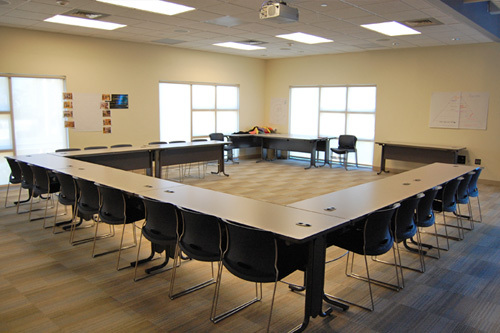 The room has an alcove area perfect for secondary or related activity, e.g. 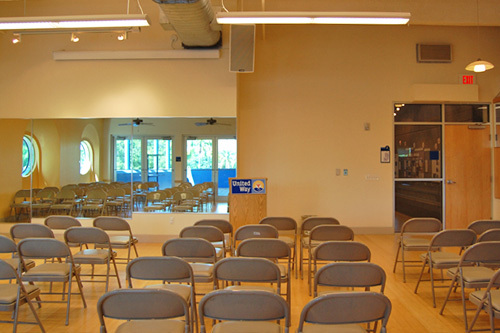 photographic setup, catering, etc. 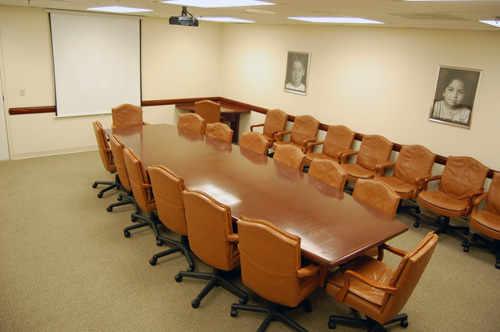 The Ronni Bermont meeting room seats a maximum of 10 people around a marble-top conference table. 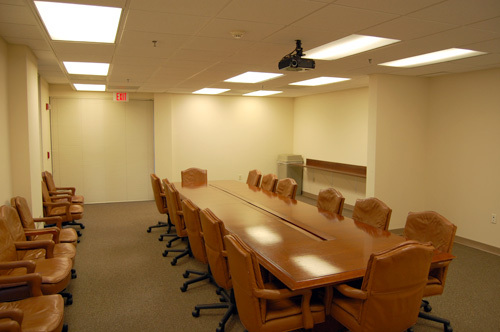 There is no A/V access in this room. 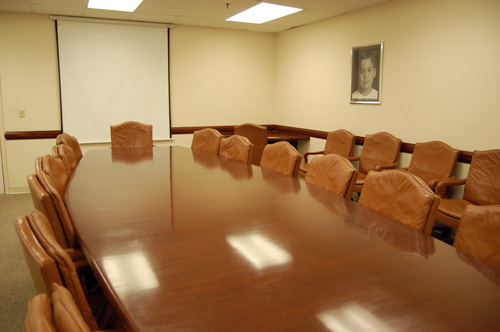 Conference phone is available. 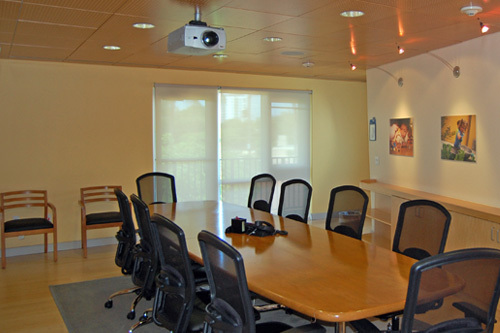 The Ansin Building Training Center has a whiteboard, 12 student laptop positions, one (1) instructor laptop position, and a digital projector. 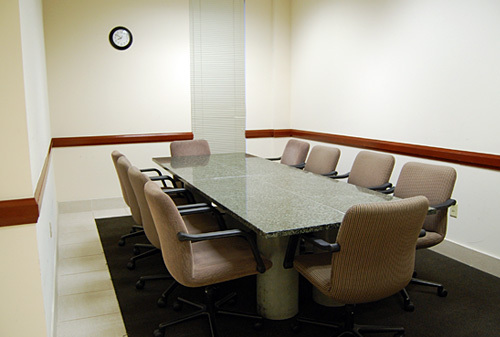 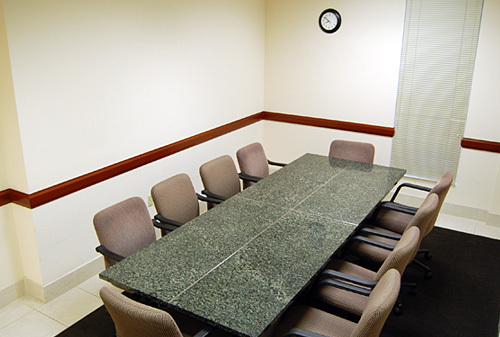 Conference Room A can be configured to accommodate up to 40 people. 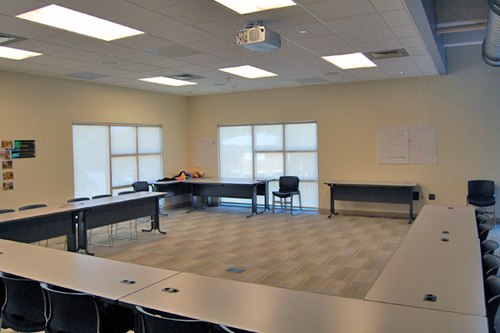 This room is equipped with a digital projector, screen, and connectivity for laptops. 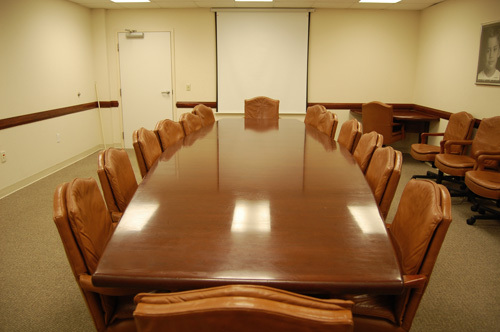 Conference phone is available. 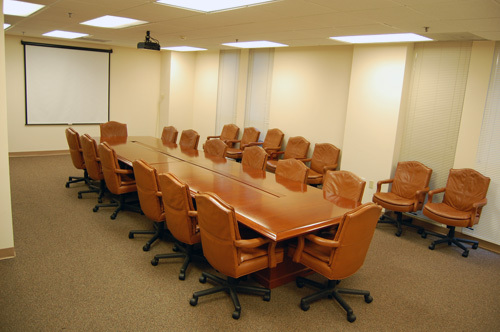 Conference Room C comfortably seats 18 people around a traditional wood conference table and is equipped with a digital projector, screen, and connectivity for laptops. 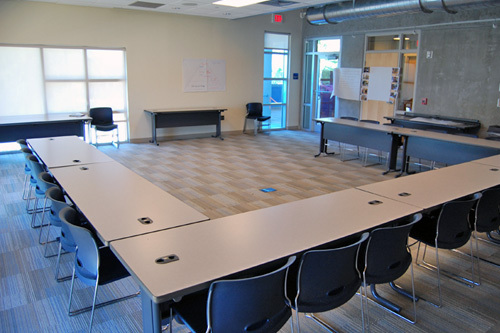 Training Center comfortably seats 18 people around a traditional wood conference table, with the option for additional seating around the room. 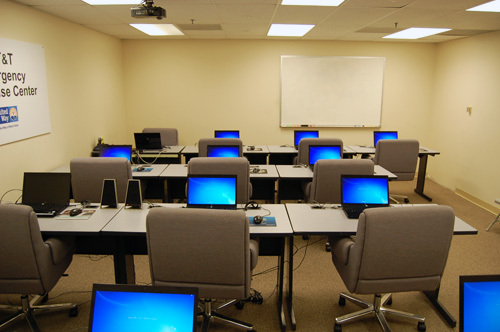 The room is equipped with a digital projector, screen, and connectivity for laptops. 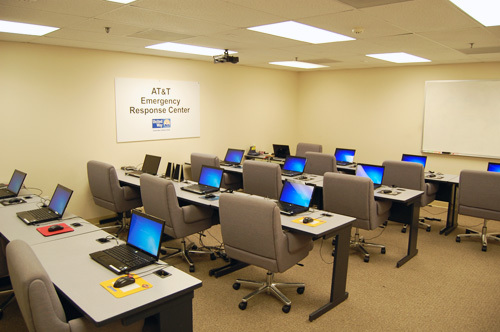 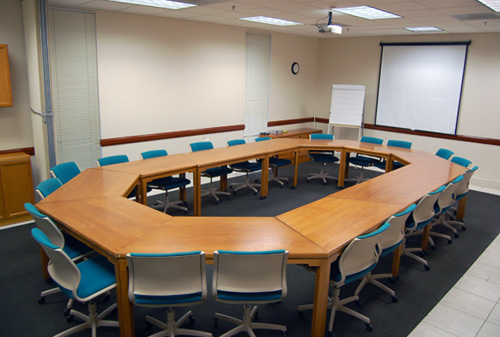 The Training Center accommodates 60 people with movable rectangular tables arranged to your specification. 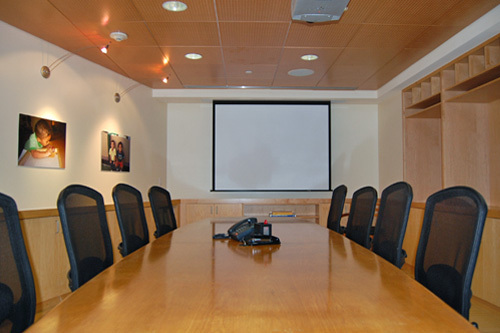 The room is equipped with a digital projector, DVD/CD/Video rack, conference phone, and laptop connectivity. 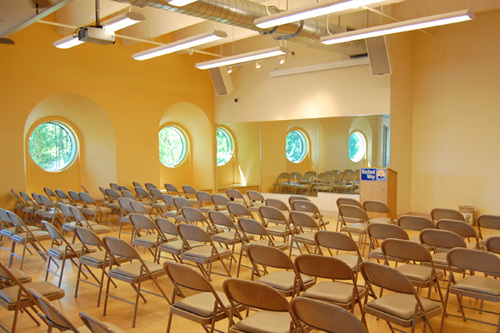 The Main Stage and Celebration Terrace can be designed to your specification for business and/or celebratory occasions. 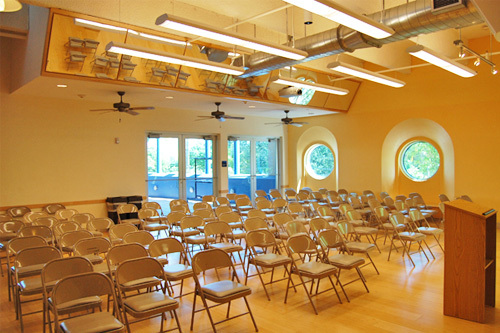 The room, with polished wood floors, mirrored walls and an angular outdoor terrace, can accommodate 70 people seated, and a maximum of 100 people for a reception with access to the terrace. 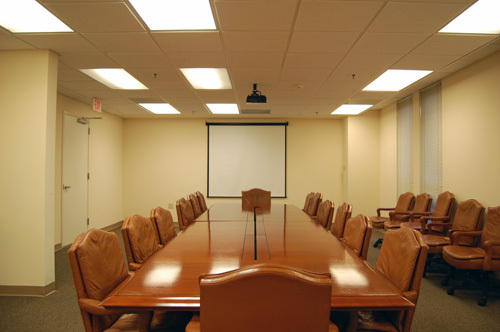 A digital projector, screen, DVD/CD/Video rack and conference phone are available. 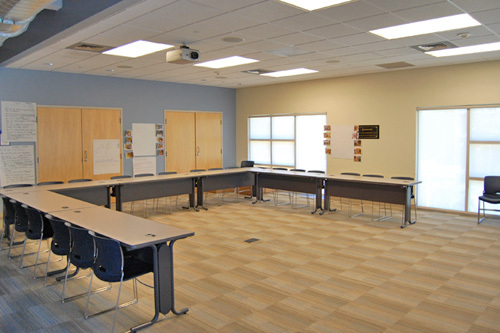 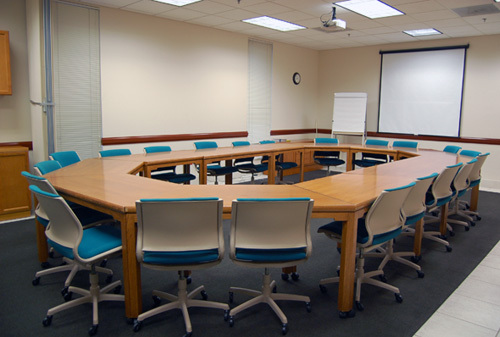 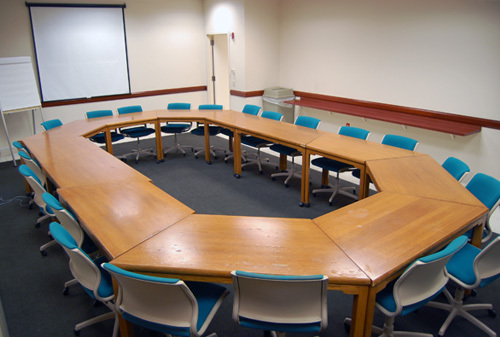 The Business Learning Center accommodates a maximum of 12 people seated around a traditional wood conference table. 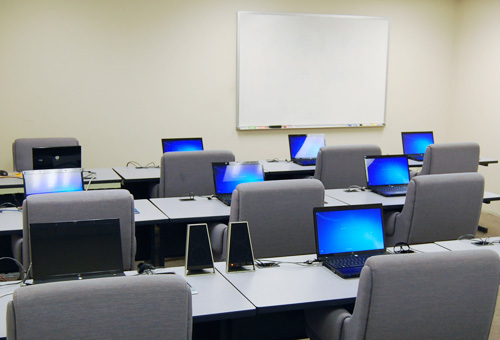 Digital projector and laptop connectivity are available.